Under the previous maintenance schedule, Doe Run’s fleet of trucks had an average of 12 annual planned maintenance appointments to change the oil, inspect mechanical components for repair or replacement, check tires and schedule future repairs. These inspections take roughly eight hours to complete, resulting in 96 hours of downtime per truck per year. Doe Run’s SEMO operations consulted with an Exxon Mobil lubrication engineer and Wallis Lubricants, a Missouri vendor that develops solutions for mechanical equipment. The lubrication engineer evaluated and provided recommendations to improve the products we use in our equipment. Before working with Wallis, haulage trucks operated for an average of 250 hours in between routine maintenance. With a different lubricant from Exxon Mobil as part of the new maintenance program, haulage trucks operated for 375 hours between inspections without any additional issues. This reduced routine truck maintenance appointments from an average of 12 to 8 per year, which meant 32 more hours of operating time for each of our haulage trucks in 2017. The new maintenance schedule reduces time in the repair shop to allow each truck an opportunity to haul approximately 2.6 million more pounds of ore for crushing and milling each year. 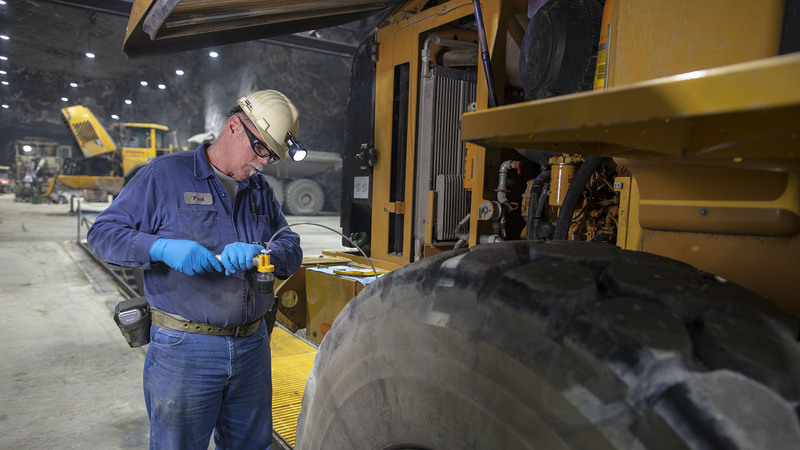 Intense workloads and mining conditions take a toll on commercial equipment, so Wallis and Doe Run continuously monitor and adjust lubricant use to make sure the trucks run at peak performance. By working with Wallis, Doe Run became a Planned Engineer Service account with Exxon Mobil, meaning we are at the forefront of holistically managing our lubrication systems through extensive data collection and goal setting. The collaboration has positioned Wallis as experts in the mining industry. 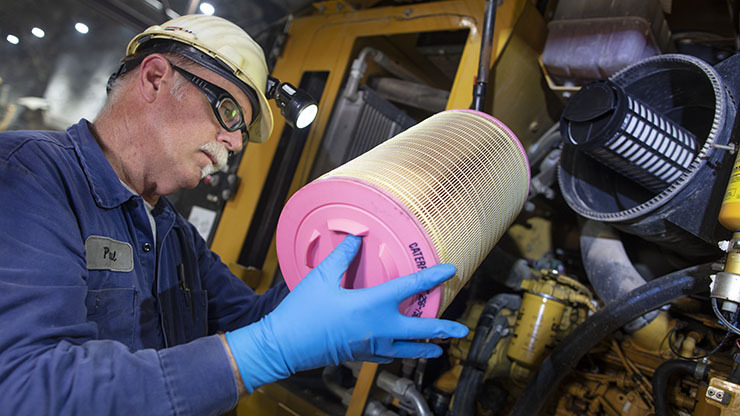 Based on what they have learned working with Doe Run, the company is helping other mining companies perfect lubricant use.